As school resumes, the Ambassadors are busy planning for the year. We participated in the ICC Club Fair this week and will interview candidates next week to fill our 5 open positions. To support our initiatives, we have already begun planning our 5th Annual Global Evening. This event will be held on November 24th at the Four Seasons Moscow. We have begun reaching out to sponsors for auction and raffle prizes. The students have been bringing in items from around the globe for our silent auction baskets and we have already secured a few exciting prizes for our live auction. We are especially grateful to the sponsors who have already pledged their support: The Four Seasons Moscow, Coca-Cola Hellenic, Heineken, The Intercontinental Moscow and the Wildtrack Safari’s Eco Lodge in Botswana. On Ms. Francy’s trip to Africa this summer, she was honored to meet the President of Botswana, His Excellency Mokgweetsi Masisi. She shared with him some of the work Ambassadors have been doing in Botswana. He was very supportive and encouraged us not to give up on the preschool, saying its too important. In Livingstone, Zambia, we provided funds to the Youth Community Training Center to purchase 85 layer chickens and chicken feed for 8 months. These chickens will each lay one egg per day, providing 85 eggs daily to support their culinary program. The AAS Staff previously raised money for new computers for their lab, so we took their old computers to the Ambassadors Learning Center in Kamatanda. The students were happy to receive these used computers, along with the food items we purchased to give them extra energy during exams. One of the adult learners joined the grade seven class in taking exams, a big milestone on her learning journey. Teachers Oscar and Caroline are so proud of their new home sponsored by Moscow Starbucks. They continue to teach at the school and their daughter continues to grow and thrive in her new environment. Recently the family purchased chickens to raise and planted a large garden to grow their own vegetables which they share with their extended families and other villagers. Teacher Mark, who runs our Adult Learning Center, had a baby boy this summer. Mark was scheduled to graduate but didn’t have the money for his cap and gown and graduation fees. The Ambassadors made an emergency vote for funding via our Facebook group, and covered these costs, along with his bus fare to Lusaka for the ceremony. He sent us a photo from the proud day. The Book Bus came to Zambia and visited the library we built with Mikaela Hong’s service group in Minnesota. They were so inspired, they filled it with books – so many books that we didn’t have enough room on the shelves. They also provided cushions for the children to sit on when they read. People from all the surrounding villages come to see this building and read these books. We presented backpacks to our Adult Learners filled with school supplies, as well as rice and beans for their families. The current roster of 16 learners range in age from 22-36. These inspiring individuals want to be able to read the books in the library and understand what their children are studying. Our goal is to build them a brick building this year, so they no longer have to repack their mud classroom after the rains. For those who are just learning to read and write, we put in place some job training elements so they can support their families. For the men we bought a welding machine and supplies. The women were happily using the two sewing machines we provided last March so we hope to get additional machines for them this year. The women were thankful for the colorful fabric we brought them on this journey, as you can see in the short video clip posted at the end of this update. The Ambassadors finished the year strong, with a Day Without Food Fundraiser/Awareness Event. Students found sponsors to support them as they gave up food for one day, so they could better understand what it is like for a child in Africa. The student reflections shared the depth of their understanding on the issue of hunger. The one day event raised over $4000 for Ambassadors and will be used for our summer support in Zambia, Zimbabwe and Botswana, including supplementing rice for the children through our food program in Kamatanda. You can read reflections from Zara Akhbari at the end of this post. The new executive team has lots of creative ideas to get our message out through social media including Facebook, Instagram, Snapchat, Global Website, and our Youtube Channel. They have just redone our bulletin board to showcase our most recent work. As you begin your summer adventures, remember to be an Ambassador every day of your life, in every corner of the world. Take a moment on your journey to say a kind word, share a smile, or find a way to make a difference! Have a relaxing summer! The New Year is starting off busy for Ambassadors! In December, two of our volunteer teachers in Kamatanda welcomed a baby girl. While we have long wanted to provide decent housing for our teachers, the new baby increased the urgency as the current mud stick structures allow holes for snakes and rats to enter. With the heavy rains, the walls of the houses melt away and must be repacked. The Starbucks organization in Moscow has agreed to help us with this project. During the month of February, you can stop by any Moscow Starbucks and purchase a hot chocolate to support teacher housing in Zambia. Every cup counts! The February Starbucks Hot Chocolate Campaign. To add to the fun, we are asking everyone who supports this campaign to post a selfie from Starbucks with their hot chocolate. You can post them to the Ambassadors Community Facebook Page. https://www.facebook.com/aasambassadors Don’t forget to add the hashtag #StarbucksForZambia A few of our Ambassadors have already stopped by for a cup. Ambassaodors Ciara and Jacob enjoying their hot chololate! Alma and Emily stop by for a creamey cup of cooca! We wired the money to the clinic for Francis to get his hearing aids. We will transfer money to his father this week to pay the bus fare to the capital city where the hearing aids will be fitted to Francis’ ears. His hearing will not be restored without cochlear implants, but the hearing aids should help increase loud noises for his safety. The new crop of maize has been planted for our food program and last week, we broke ground on our new library in Kamatanda, Zambia. This week, the students from YCTC are busy laying our foundation. In Pandamatenga, Botswana, the foundation for the entire school is complete and farmers are working on getting the materials from South Africa to build our first classroom. Last Friday, we hosted Open Art Theater with their performance of “Cinderella”. Open Art Theater is a program of ARC, which strives to give young adults with Down’s Syndrome the opportunity to perform. Ambassador volunteers work with these aspiring performers on Saturdays and were happy to host them on Friday. Through ticket sales and concessions, we raised over $1000 for this great organization. The ES Ambassadors helped us to promote this event and were our greeters at the door, handing out programs and smiles. Ambassadors have been busy planning activities for our Environmental Awareness event in Botswana. They also took part in ICC’s Pay It Forward Campaign. If you were the recipient of a random act of kindness, please place your card in the box located in the hall of flags so we can see how far our circle of kindness has grown! Coming soon: Ambassadors will be sharing the love this Valentine’s Day so look for our shirts in the hall of flags where we will be passing out Hershey’s Kisses. Sharing the love this Valentine’s Day! Our next update will come next month after we travel to Africa,so you can look forward to some photos of our journey. Happy Holidays from the AAS Ambassadors! The AAS Ambassadors wish you and your family a wonderful holiday season! We hope that whether your break takes you on travels to distant lands or keeps you here in the holiday lights of Moscow, you find some small way to make a difference in the lives of others. Today, our President Maria Fomina, made a donation of over $1000 to help pay for Eileen Munsaka’s school fees. She raised this money by asking her family and friends to skip giving her presents this year and instead donate funds to something she is so passionate about. 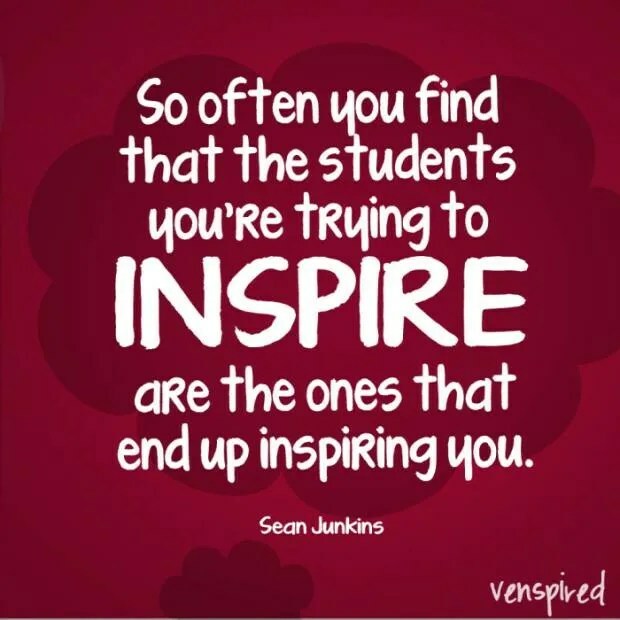 As advisors, we try to inspire our students, but we find it is often them who inspire us. Such a selfless act by someone who already gives so much to this organization is incredibly moving. If you would like to contribute in this season of giving, here are three great ways that you can help Ambassadors contribute to some amazing individuals. Click on the blue donate links below to make a donation that will immediately impact someone’s life. All donations are tax deductible through our Friends of AAS 501C3 Account #133947443. Hearing aids for Francis who is completely deaf in one ear and 80% deaf in the other. He needs cochlear implants at a cost of $24,000 but we are trying to get him hearing aids ($1500) to help until we can reach our long term goal. You do not have to donate money to make a difference. Share a smile with a stranger, offer to carry a bag, switch your plane seat so a family can sit together, donate your old coats to help others fight the cold: EVERY SMALL ACT OF KINDNESS MATTERS!